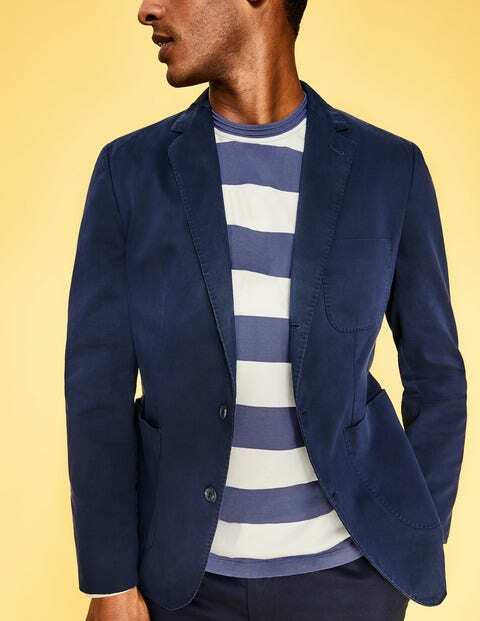 This blazer is fashioned from washed cotton for a slightly lived-in look and features refined mockhorn buttons. Showcasing fine craftsmanship, it's made in a Portuguese factory that's been operating for 100 years. The structured design will ensure you look the business, whether you're wearing it to work or out for Sunday lunch.